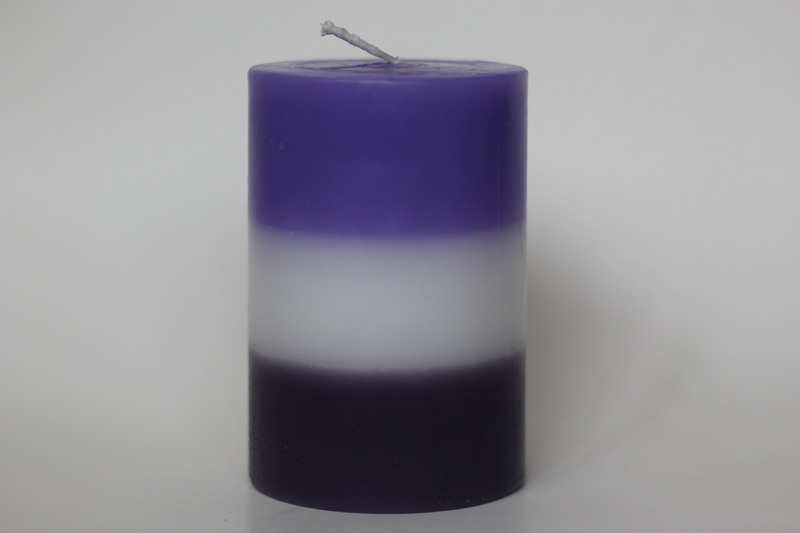 Charged three colour pillar candle enhancing peace, balance, clarity and vision. Use as and when needed to clear thoughts, energy and aura from spiritual, emotional or mental debris. Burning time : approx 20 hours per candle. 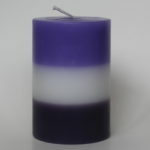 Charged three colour pillar candle enhancing peace, balance, clarity and vision. Use as and when needed to clear thoughts, energy and aura from spiritual, emotional or mental debris. Makes transparent self deceptions and those placed on us by others, allowing us to see our lives clearer and where chosen paths are leading us. Handle with due care and attention, keep away from children and never leave a burning candle unattended.